Posted in: American Idol Judges. 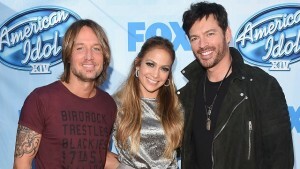 Tagged: American Idol, Grammy, Harry Connick Jr, Jennifer Lopez, Keith Urban, Songwiter. American Idol fans are diehards. We want the series to go on and on. We love the whole process – from beginning to end. We can’t get enough. We are well aware that the actual process begins within the heart’s desire of a possible contestant. When singing moves you from the depth of your being, it’s impossible to hold it back. The shower and the local school production is a place to stick your toe in the water, but when you’ve gotten positive feedback it’s time to take it to the next level. Youtube to the rescue. If you look at some of the audition tapes of the greats and the not-so-greats it’s almost tear jerking. 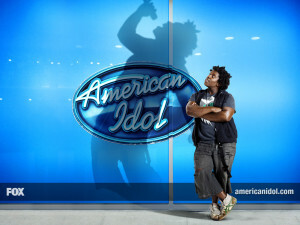 Posted in: American Idol. Tagged: Carrie Underwood, Kelly Clarkson, Nick Fradiani, Pop Idol, Rubin Studdard, World Idol. As a die hard American Idol fan I try never to miss a beat. While waiting for the new season to begin, I must keep myself entertained. I read the Idol news daily, although, I admit, with all the hubbub going into the last season (I can hardly say it) there just isn’t ever enough news to satisfy me. Since the Premier Season, millions like myself have been hooked on the whole genera of American Idol. While initially inspired by the British version known as Pop Idol, once the show was broadcast in the US and Americanized, the producers had no doubt they had a multi-million dollar success going for them. Not to be left behind, other countries started rising in popularity faster than the overhead cranes building them could keep up. 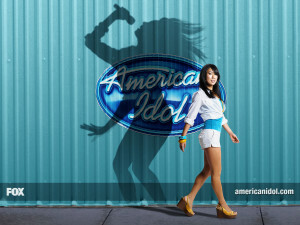 American Idol morphed into China’s Super Voice Girls, Croatia’s Hrvatski Idol, Germany’s Deutshland Sucht Den Superstar, Asian Idol and the ultimate World Idol. A total of forty-six countries or regions had their Idol stage.